Healthy snacks for school-aged kids distributed in our baskets, to community centres and at summer camps and facilitated volunteering sessions for local youth groups. 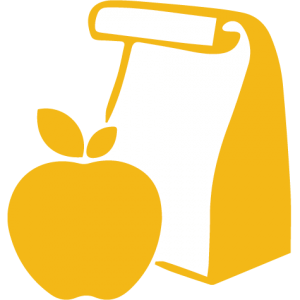 Families with school-aged children are eligible to receive a week’s worth of supplemental healthy snack foods in their emergency food basket when they visit The Depot during the school year. We also offer a healthy snacks delivery service year-round to neighbourhood community centres and summer camps who run subsidized programming for local youth. Local youth groups are also invited to help prepare healthy snacks in the Depot kitchen. Book a facilitated volunteering session for your youth group to learn about food security in our community and prepare healthy snacks in the Depot’s commercial kitchen!